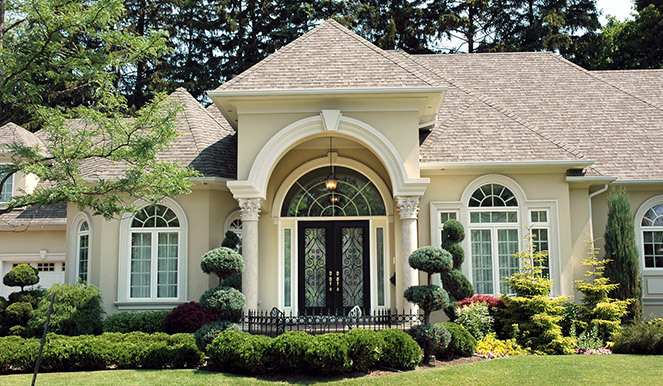 When it comes to vinyl windows for Raleigh NC, there is an extremely wide variety of quality available on the market. This can be good for homeowners, because high quality and value options are out there. But this can also be bad for homeowners, because there are some vinyl windows that look like cheap plastic and are very poor in terms of energy efficiency. You can sometimes tell these poor windows by their unrealistically low prices – but not always. Unfortunately, some will sell you a mediocre window and charge you quite a bit for it. While we typically recommend fiberglass windows as the best overall value in replacement windows in Raleigh NC, we know that some of our customers want vinyl. We have carefully sifted through the options and can confidently recommend The Enviro-Star Series from OKNA. This is OKNA’s top-of-the-line window, and one of the most energy-efficient windows for Raleigh. One of the best things about OKNA is that ALL the windows they manufacture are excellent. That is why we confidently offer Precision Weld Windows, too. These windows are OKNA’s most modestly priced line and a very solid choice. If budget considerations stop you from selecting our premium choices, this is still a high-quality option for vinyl replacement windows in Raleigh NC. At Raleigh Windows and Siding we are downright fanatical when it comes to quality. But we also realize that it isn’t just about our installation standards – it is also about the companies that manufacture the products we install. We love OKNA windows for Raleigh NC because the company holds themselves to the highest manufacturing standards and offers the best warranties.The Limited Lifetime Warranty guarantees that the vinyl will never crack, warp, corrode, or blister. Of course, we will provide you your warranty IN WRITING, so you will get peace of mind. To schedule your free window consultation, please Contact Us.